Allergic contact dermatitis (ACD) is an inflammatory dermatosis resulting from Type IV, T cell-mediated delayed hypersensitivity reaction. ACD can present as both an acute and chronic. 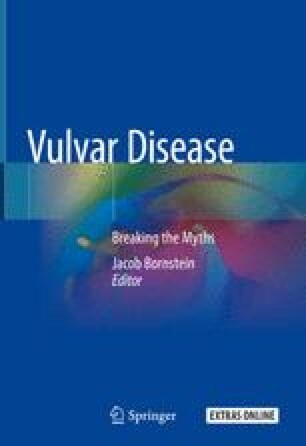 The most important step in the management of ACD is suspecting it may be present, in cases with previous reactions to topical medications, unexplained vulvar eczema, and vulvar eczema that doesn’t respond as expected to therapy. Patch testing is required to establish the diagnosis. Removing sources of potential allergens should be done. Mid- to high-potency corticosteroid should be applied. Once control has been achieved by corticosteroid application, a switch to topical pimecrolimus 1.0% and tacrolimus 0.1% may be considered. Allergic contact dermatitis to topical corticosteroids does also occur.